Can you to defend yourself? Do you feel safe walking the streets by yourself? What would happen if someone kicked in your front door? What if they came after you with a knife? Or someone held a gun to your head? Worse still, what if they held a gun to the head of someone you love? What can you do to be prepared? 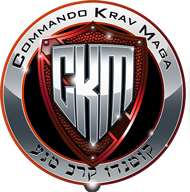 Moni Aizik created Commando Krav Maga for this very purpose, to teach normal people how to defend themselves, no matter what comes their way. Enroll in CKM University Online today, where Moni and his team will show you how to deal with the most vicious attacks and make it home safe. Regardless of if your attacker has a gun, knife or advanced training; we’ll teach you how to protect yourself and survive. Over 700 most unique HD quality techniques on video with more lessons being added frequently. instructor Moni Aizik and CKM Elite Team Instructors. Seven levels of the CKM official curriculum with hundreds of techniques that are easy to apply in real life situation, Be prepared to save your life and the life of your loved ones! Get recognition and earn an official certificate as a CKM student at the level achieved. 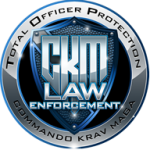 Career opportunity: become a Commando krav Maga Instructor and earn an official diploma. Enjoy CKM Bootcamp discount, offered exclusively to CKM University online students. Learn directly from the founder and Chief Instructor Moni Aizik and his professional team of instructors!